They’re talented, respected, and driving analytical science forward...and they are all under 40. Meet this year’s Power List! The lesson from this year’s Power List? Do something you love, and pursue it with a passion. The chairs of SciX 2018 “pull up a pew” to share the sessions they’ll be seeing and the topics to watch. Has your company entered The Analytical Scientist Innovation Awards? Find out how here. Join experts from leading contract research organisation, Covance, and learn how they have developed capabilities for the analysis of antibody-drug conjugate variants using ion exchange chromatography hyphenated to MS. The Analytical Scientist is committed to providing you with the best possible experience and content. As we strive to improve in everything we do, we'd like to hear your feedback – how you read The Analytical Scientist, what's going well, what you like, and where you think we can improve. In this application note, four PVC samples of known differences in glossiness were measured with both multi-detector GPC and rotational rheometry. 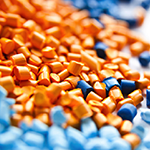 In this application note, two low molecular weight polymers, a polystyrene and a polycaprolactone, were analyzed using the OMNISEC REVEAL and Waters ACQUITY APC in combination. This technical support note gives users of thermal desorption for GC–MS comprehensive advice on the best sorbents for packing TD sampling tubes, for pumped and passive monitoring of vapour-phase organics. Conditioning temperatures are also listed, and advice is provided on breakthrough volumes and storing packed tubes. 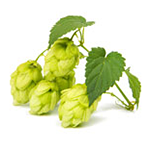 A demonstration of the high performance of a dynamic headspace sampler with TD–GC–TOF MS analysis for investigating the complex aroma profiles from hops. 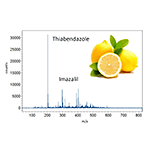 The use of Tandem Ionisation provides enhanced confidence in the identification of terpenoids, while the comparison of hop varieties is simplified by real-time data-processing software. Featuring light weight and compact size, BaySpec’s novel mass analyzers based on linear ion trap technology are the most sensitive portable devices available on the market with parts-per-trillion detection sensitivity. Learn how you can bring the lab to the sample with portable analytical tools from this Application Note. An inert sample pathway is critical for accurately quantifying low levels of active sample that are common in today’s analytical applications. Regulations and smaller sample sizes have placed utmost importance on getting accurate results quickly without instrument downtime. 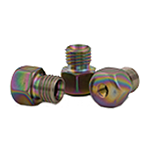 Read this application note to learn how inert coatings improve analytical performance. It has been demonstrated on several occasions: best results are obtained by following the recommended pipetting techniques and working with an optimized pipetting system in which tips and pipettes have been designed to perfectly fit together. This Application Guide illustrates the advantages of using Low Retention GripTips when pipetting low surface tension liquids. 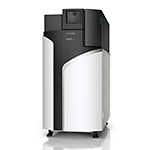 Shimadzu has introduced the new LCMS-9030 quadrupole time-of-flight liquid chromatograph mass spectrometer. The LCMS-9030 is a research grade mass spectrometer designed to deliver high-resolution, accurate-mass detection with incredibly fast data acquisition rates, allowing scientists to identify and quantify more compounds with greater confidence. The Decade Elite is designed as an easy-to-use detector that can integrate with any LC system on the market. It can handle fast eluting peaks in (U)HPLC and deliver fast stabilization from dedicated flow cells. 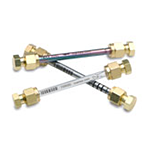 When used with the SenCell™, it becomes the most sensitive electrochemical detector by today’s standard.